I might not [yet] be brave enough to wear spring dresses, but my wishlist is growing by the day and it's only fair to share it with you. 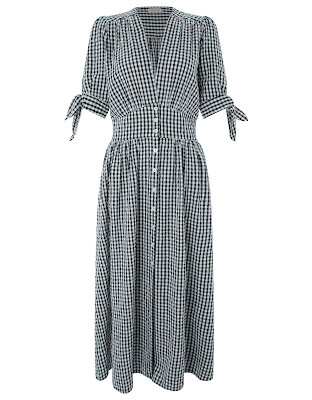 I love buying dresses in spring/summer because I find most of them are wearable through 'till winter. Layering is key, so I'm wearing these with roll necks underneath, jumpers over the top and jackets to keep me warm. 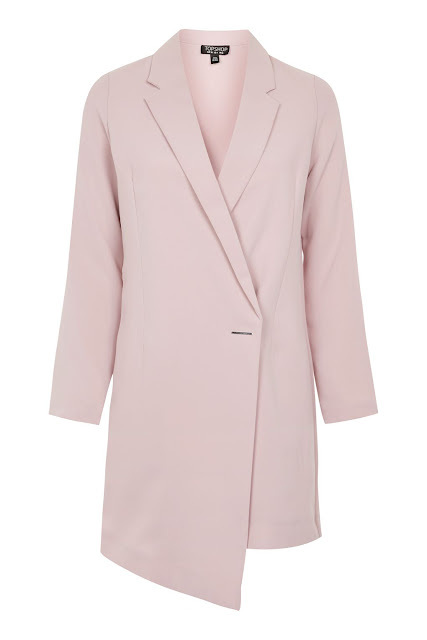 Who needs the sunshine when this colour is so flattering on every skin tone? This beaut Warehouse dress is the perfect addition to any wardrobe if you ask me! 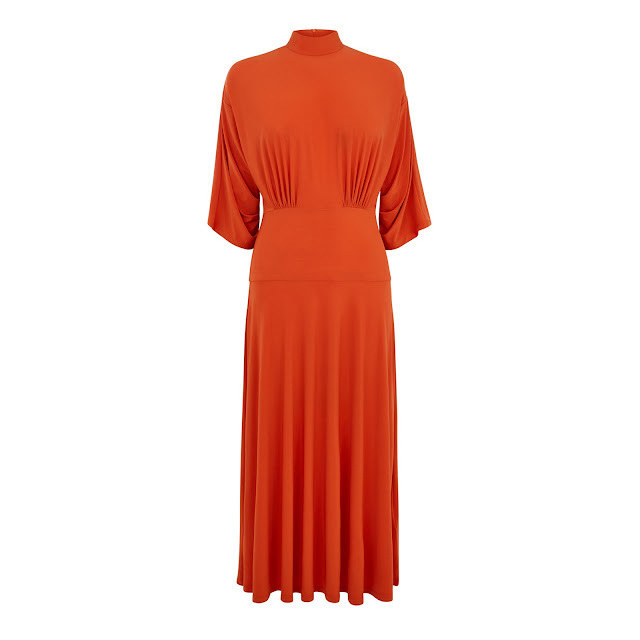 Lovely pleats to slimline your figure, sleeves to cover up any lumps and bumps and a sophisticated neckline and length. I'm totally sold. 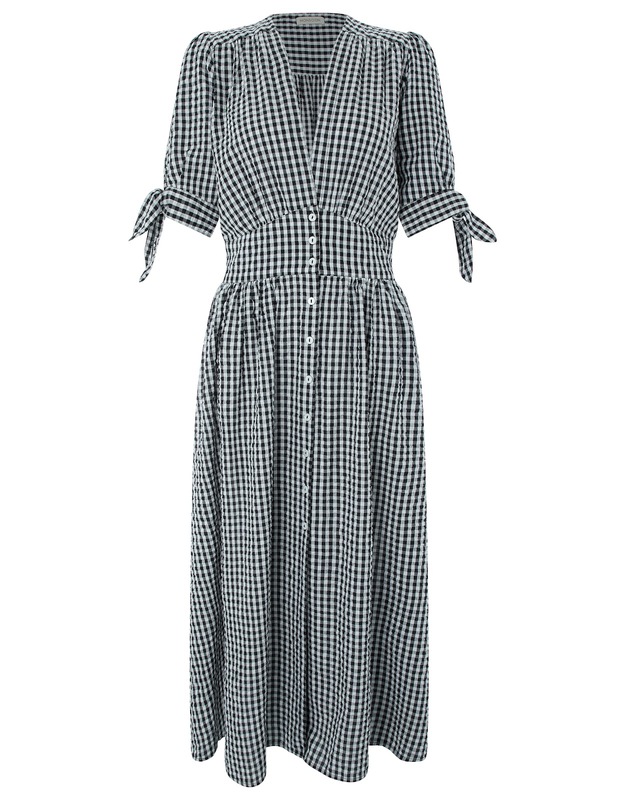 Gingham may have been everywhere last summer, but I'm still completely into it. 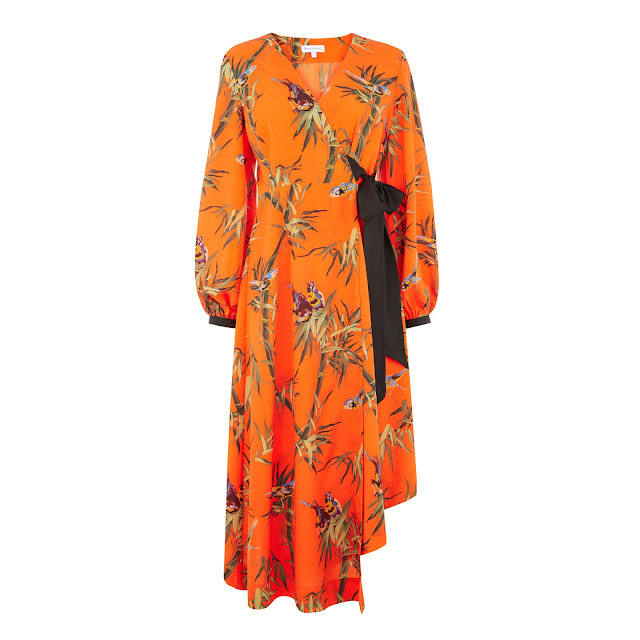 This dress is perfect for a summer holiday (or the unlikely event that we get some sunshine). I'm so obsessed with the cinched-in waist, button detailing and cute bows on the sleeves! I seem to dress in a lot of black in winter, but as soon as summer hits I'm all about the bold prints and bright colours. 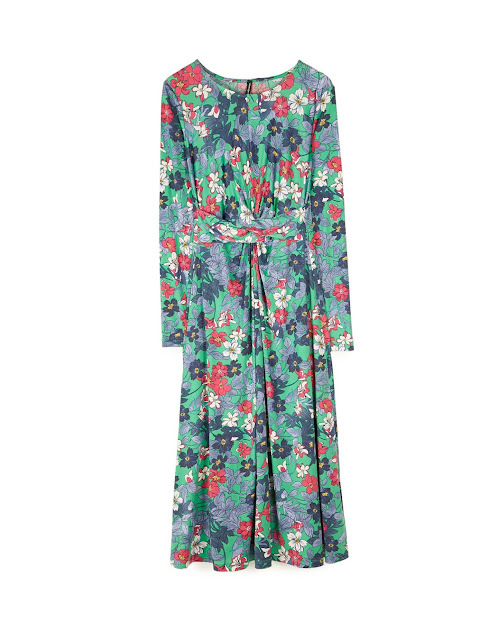 Topshop have a tonne of beautiful floral dresses for affordable prices, and this one is an instant hit. 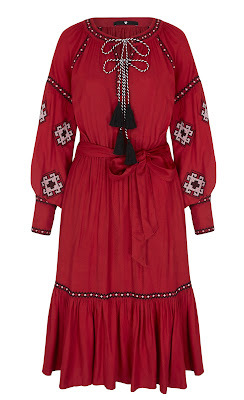 Go boho this summer with a pretty dress with embroidery, bows and tassel ties. 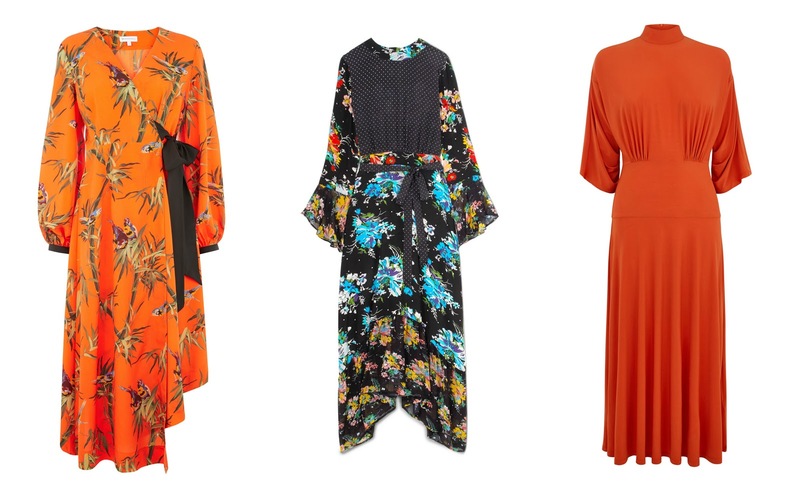 Long sleeves may not feel summery, but I reckon they're ideal for the British summer. Plus, they're wearable all through the day into the night for a cute summer picnic as they'll still keep you warm. For a night out, go sleek and sophisticated with this tailored Topshop dress. I wore a black tuxedo dress to the Christmas party and felt amazing, but this one is ideal for the warmer weather because of the lovely light colour. Sister Jane has the most incredible detailed dresses. I went to a sample sale of theirs this weekend and was pretty much in heaven. 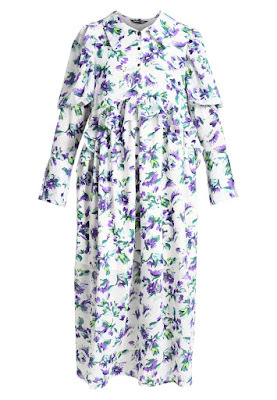 This floral number is possibly the most summery thing I've ever seen! Omg, RIXO. I absolutely love this brand (although I can't afford it). Their dresses are utterly beautiful and this is no exception. For those after a lovely Rixo-style gown without the price tag, I seem to have located the next best thing. 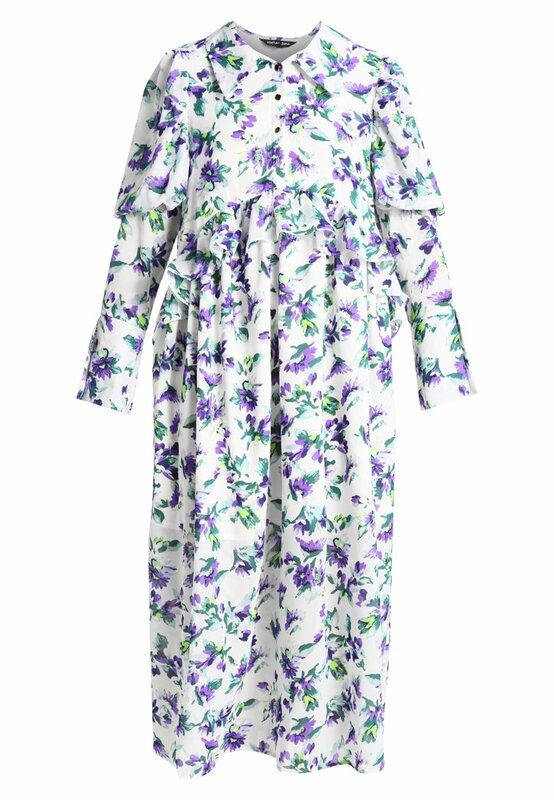 This Stradivarius floral dress is super similar to some of their designs, but is a fraction of the price. Happy shopping!